For most Filipinos, we would definitely remember growing up and indulging in flavoured fries as a snack, bought from the various kiosks in our neighbourhoods. It’s actually a pretty unique trend, given that many Asian countries tend to prefer rice over potatoes. Perhaps, this craze evolved from the Westernisation of the Philippines through the entry of foreign companies in the country introducing American-style meals such as burgers and fries. Seeing an opportunity for success, a local entrepreneur developed an idea instead of competing against these much larger companies with the same product. The entrepreneur who seized this chance is Jose Magsaysay Jr., the current president of Potato Corner. An entrepreneur of humble beginnings, he worked at Wendy’s as a dishwasher, eventually climbing his way up to become a district manager of Wendy’s before opening his first Potato Corner stall in 1992. 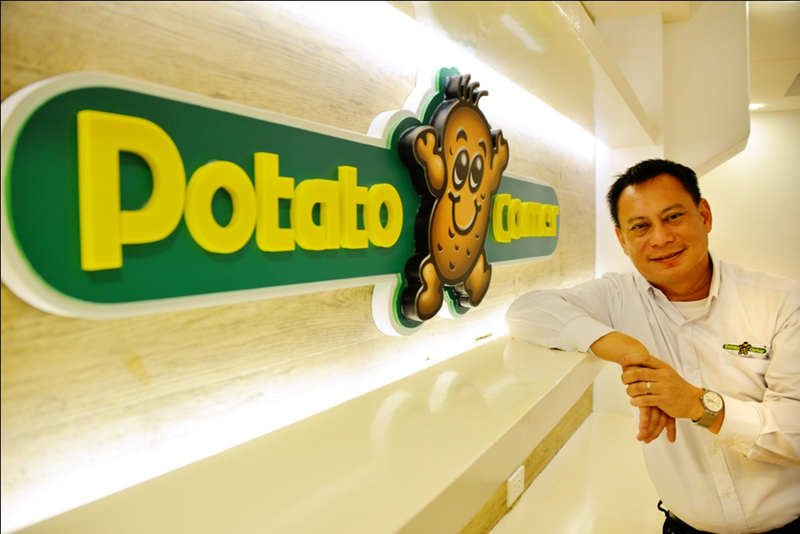 As the company expanded, more stalls opened and Potato Corner grew more popular in the country. By 1997, a total of 120 kiosks were been opened, but everything changed when the Asian crisis hit, resulting in decreasing of active kiosks to 40 by year 2000. Given that the crisis was a result of currency devaluation which caused prices to increase and imports to become more costly, Potato Corner was directly affected by the crisis because most of its potatoes were imported from Belgium and America. Despite this obstacle, Potato Corner was able to surpass this and achieved even more by expanding their brand into the USA, Panama, Indonesia, Thailand, and Australia. This truly showed the resilience of the company in hard times. A unique selling proposition is what makes a given product one of a kind. The factors inherent in Potato Corner’s USP are low costs and high efficiency. What Potato Corner did in order to increase sales and further expand the company was by introducing franchising to the company. By means of franchising, interested partners could help expand the business by paying royalties, and this in turn made Potato Corner an even more publicly-recognised company. As a result, Potato Corner became a 75% publicly-owned company with franchisees from all over the globe. The difference between other commercial french fries in the market is that Potato Corner adds powder flavouring to theirs; namely cheese, barbeque and sour cream and onion. A natural human instinct is being able to adapt to one’s surroundings. Upon expanding to different areas across the globe, Potato Corner had to change its approach. This was exhibited through introducing new flavours based on the given country such as a cinnamon-flavoured fries in America. 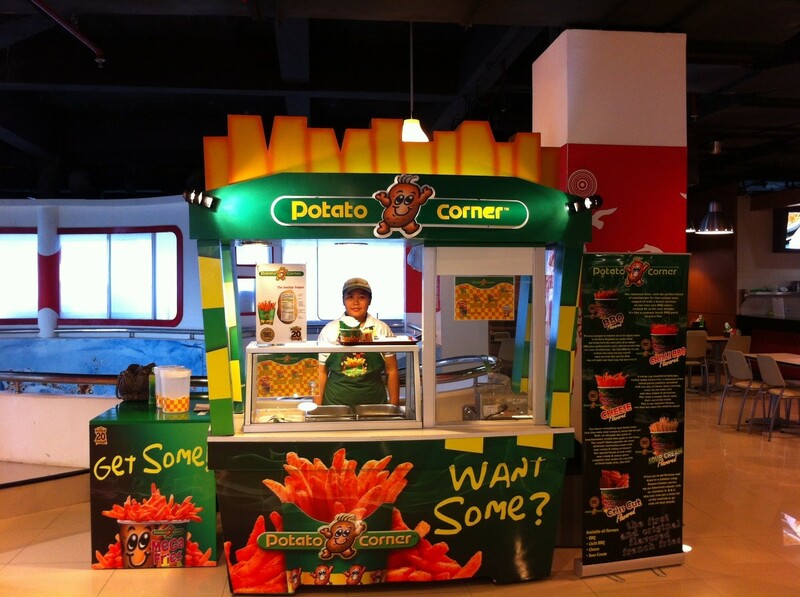 This year, Potato Corner has announced that it opened its 1000th store, and it is now available nationwide. The company also has plans to open more stores beyond just Philippines – namely in Cambodia, Vietnam and Kuwait. Its sales figures have also exceeded the 1 billion peso mark, with a 40% growth rate expected for Potato Corner in the near future. 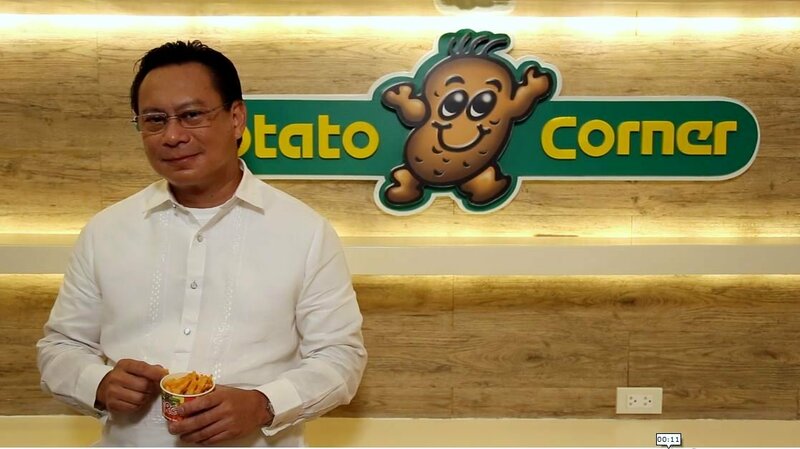 If Jose Magsaysay Jr. didn’t choose to start up Potato Corner, he may not have reached the success he has now. This shows that an idea is 1% of every entrepreneurial success, while the other 99% comes from hard work. Potato Corner survived the Asian Crisis and made even better their position now. A key attribute of an entrepreneur is to treat a time of calamity as time of opportunity. Potato Corner did not challenge the businesses which were already in place. Instead, they went with the flow and made better an idea. As an entrepreneur, find ways to improve the society and see what the people actually need in order to create a successful enterprise. Do you know any other entrepreneurial stories in the Philippines? Do let us know in the comments below!